Examples: "An Emmy Awards Proposal Sent Hearts Aflutter on Facebook and Twitter Monday Night" from Adweek, "Watch the 10 Most Popular Late-Night TV Clips of 2014" by TIME. How to? Use search leaderboards for the former, and use "search within" filters for the latter. 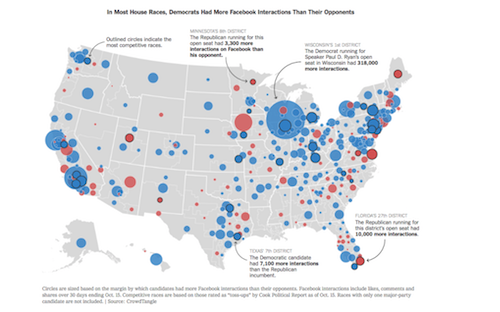 #2 Analyze what topics are driving the conversation around an event, a cultural moment, an election, etc. How to? Use saved search, and then get analyze it using historical data. 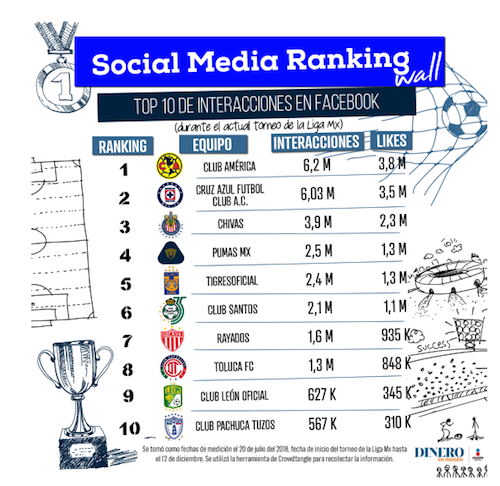 Examples: "Who's Winning the Social Media Midterms" by the New York Times, "Social Media Ranking: Cruz Azul vs América, who has the best fans?" 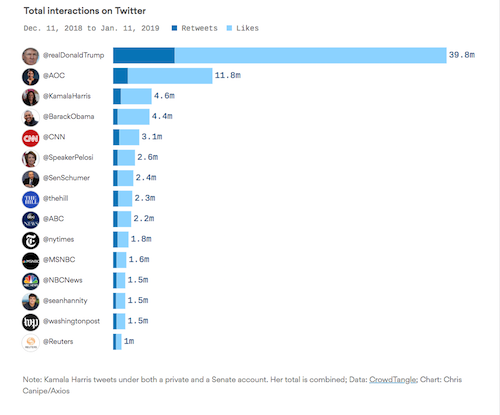 by Dinero Imagen, "Alexandra Ocasio-Cortez has more Twitter power than media, establishment" by Axios, "Barca, King of Social Networks" by La Vanguardia. How to? 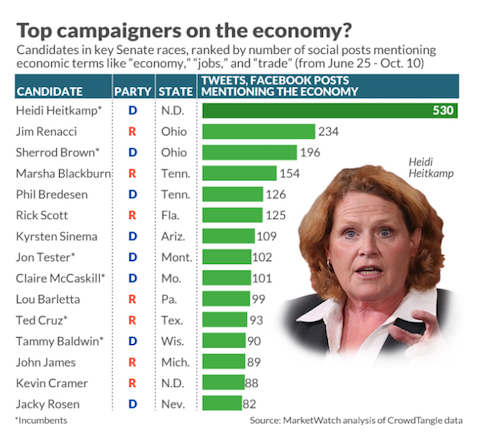 Use leaderboards, Intelligence, and of course, historical data. 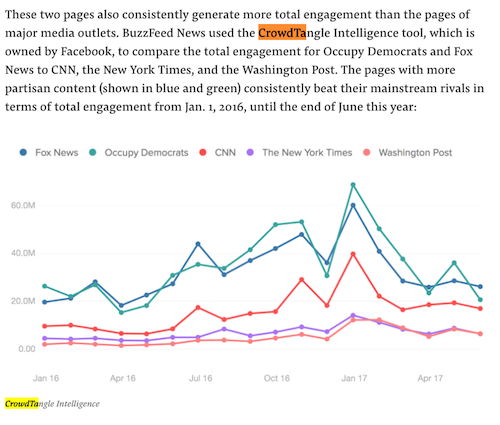 #4 Coverage of the social platforms themselves, including the spread of misinformation, popular news, communities that are bubbling up, how people are communicating during natural disasters, etc. Examples: "Inside the Hyperpartisan Fight for your News Feed" by Buzzfeed News, "If a Scientific Conspiracy Theory is Funny, that Doesn't Mean It's a Joke" by The Verge. Screenshots from these stories posted below, in order listed above. How to? Most of these articles utilized Intelligence and the Link Checker Chrome Extension. #5 Don't have time for a whole article? There's always a Twitter hot take. 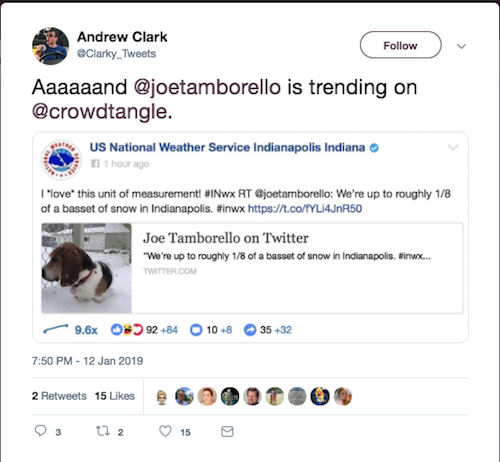 Examples: Hashtag Sports, Indy Star's Andrew Clark, TEGNA's Ian Hill, The Rockies' Julian Valentin. 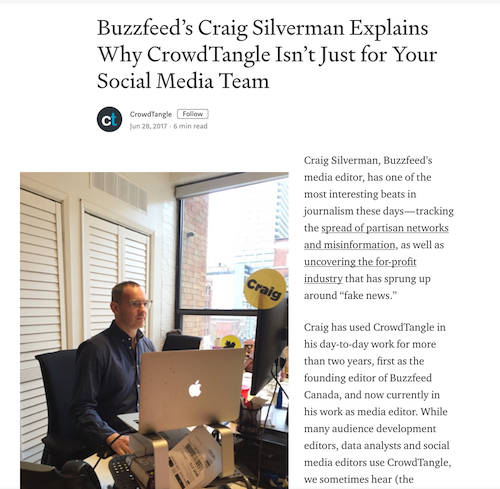 BONUS: Read our Q&A on how Buzzfeed News' Craig Silverman uses CrowdTangle in his day-to-day reporting work. 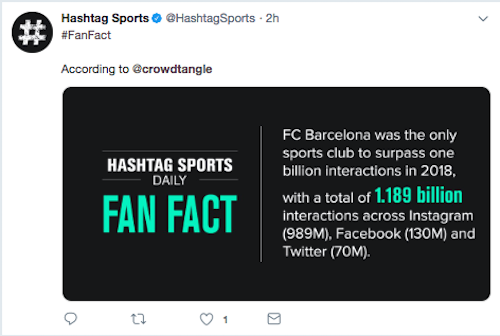 *Please be sure to consider the context in which CrowdTangle metrics appear. 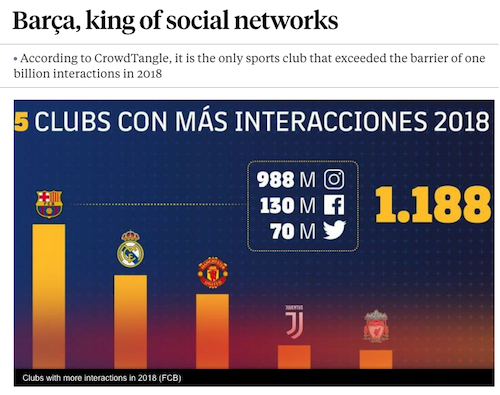 CrowdTangle tracks public posts across 3m Facebook Pages, Public Groups and Verified profiles, 1m public Instagram accounts, 900K Twitter accounts, and 15K subreddits. We do not include paid ads unless those ads began as organic, non-paid posts that were then “boosted” using Facebook’s advertising tools. We also do not include activity on private accounts, or posts made visible only to specific groups of followers. For more on the metrics we track and how we calculate them, please see our full glossary. And remember! Correlation does not equal causation. A variety of explanations may be available for trends observed in CrowdTangle. Please be sure to caveat your analysis accordingly. Have questions on a story or need more data? Email press@fb.com.